Shop handmade goods. Enjoy demonstrations. Visit a remarkable school! 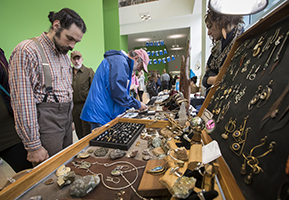 This eighth annual Art Market at Tyler is a nonprofit art and craft fair designed to support the regional arts community by providing artists, artist collectives, students and businesses who serve artists a venue for sale of work, self-promotion and networking. 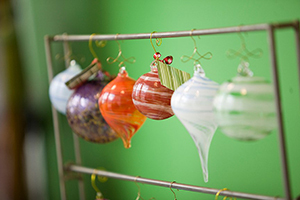 The Tyler School of Art at Temple University provides an easily accessible space for holiday shoppers and collectors to find new works by emerging and established artists. 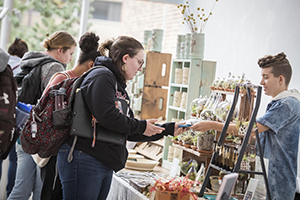 Visitors will enjoy complimentary food and drinks from Victory Brewing Company during our Crafts & Drafts happy hour, and the chance to participate in maker classes and demonstrations. To apply to be an exhibitor at this year's Art Market, please fill out this online form. The deadline to apply is June 1, 2019.